Saturday, August 17th 7pm. “Completely Unchained” The Ultimate Van Halen Cover Band is Playing in Bristol! 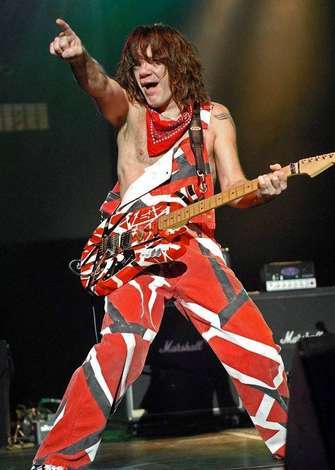 Who doesn’t love the way Van Halen Rocked the world from 1978 to 1984? Completely Unchained are four talented and creative musicians that re-create the ultimate Van Halen show with the attitude, sounds, excitement, energy and most of all the fun that Van Halen produced as one of the best rock bands in the world. They cover all the great David Lee Roth and Sammy Hagar tunes! This is a show not to be missed! Teaming Up with them are the local Legends Beyond Purple featuring Jimi Bell playing classic hits from Deep Purple, Whitesnake, Rainbow and Dio - All this coming live in Bristol! This band sells out venues of 400-600 seats daily and we are lucky to have them! Doors open at 6 sharp! Tickets are $20 in advance and $25 day of the show - plus 2 cans of food to assist Brian’s Angels Outreach Shelter Of Bristol! This WILL SELL OUT FAST! Do not miss this one! !